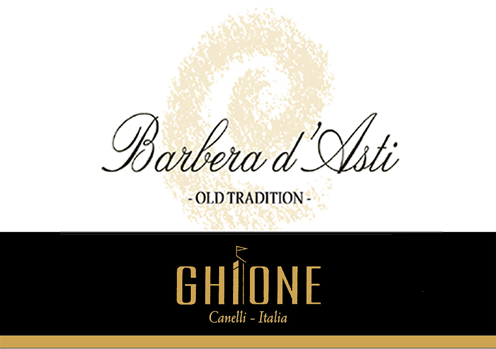 NOME DEL VINO: BARBERA D'ASTI DENOMINAZIONE: DOCG "Old tradition"
VINIFICATION: De-stemming, soft pressing of the grapes, fermentation and macerationon the skins in stainless steel tanks for approx. 15-18 days at about 28-30°C. Followingmaceration with the must pumped over at least twice a day to obtain the maximum extractionof the colour and varietal aromas. COLOUR: A deep ruby colour that changes to garnet during maturation. BOUQUET: Typical, full, intense ripe fruit, mineral notes, persistent. persistence. Structure and generosity bring hint of vanilla and mature fruits. HARVESTING: The grapes are picked by hand in the first half of October, meticulously selectedand immediately placed in small perforated boxes. Carefully selected bunches are despatchedfor vinification without delay. AGEING: Maturation in oak French Barrique for an year and followed by the acquisition in bottle. CELLAR CONDITIONS: Store the bottles lying down in a dark, damp-free environment at a cool temperature. STORAGE: When stored correctely, Babera expresses its best characteristics as time goes by. FOOD TO BE SERVED WITH: Excellent with roast, braised meats and game, ideal with mature cheese and dishes prepared with truffles.